Omegawave: What role do training and recovery management play in the youth academy of Hannover 96? 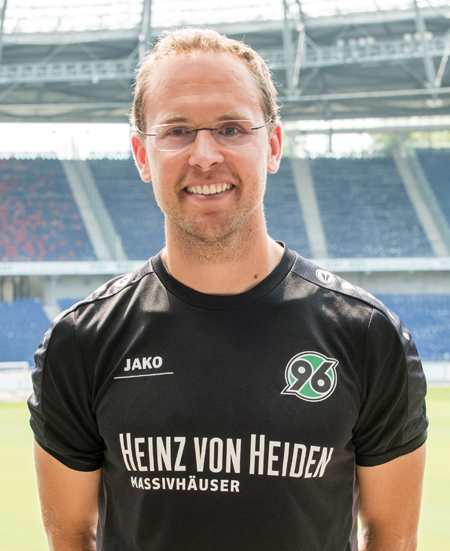 Dominik Suslik [Translated from German by Omegawave]: Training and recovery management play an integral role at the youth academy of Hannover 96. During my early years as a coach in particular, I experienced a lot of youth players suffering from overload syndromes, patella tip syndrome, or other mechanical overuse injuries. I had to ask myself what could be the possible cause of those problems by identifying quickly that only an effective training and recovery management process has the best potential to prevent injuries and overuse syndromes before they even occur. We use subjective feedback from the players to guide our training and recovery interventions and estimate the central nervous system and muscular freshness. In the next step, we collect objective data via Omegawave in order to improve daily decision-making. OW: How do you collect all the data? DS: For the collection of all subjective data, we use an in-house built application that is installed on the phones of each player. In the morning, all players assess themselves on whether they feel 1 = recovered or 6 = exhausted. Once the assessment is completed, we can see it instantly on our computer. An easy-to-use traffic light system (1-2 = green, 3-4 = yellow, 5-6 = red) allows us to quickly interpret the subjective data and draw conclusions. We are also able to determine average “team freshness” based on the subjective self-evaluations of the players. The objective readiness data is collected immediately before the training. Every player arrives approximately 15-30 minutes prior to the start of the training. We use this window to use technologies such as Omegawave, in addition to grip strength and jump tests to determine individual player readiness. With these methods, we can assess possible physical and central nervous fatigue and ultimately adjust the day’s training load according to the players’ readiness levels. OW: How do you individualize the training for particular players based on the data you collect? How do you put the data into practice? DS: Generally, we establish a training schedule for every month. Within the plan, different color codes indicate what energy system of the body we are going to train. Green refers to sessions that take place mostly on the aerobic side—here, we orient ourselves mostly on in-exercise heart rate. Yellow means that alactic sessions are planned, so we might do repeated sprints while at the same time allowing appropriate breaks. During red sessions, we work the lactic energy systems and we try to keep the heart rate at least 85% of the HR Max. So, we would use heart rate and GPS monitoring during exercise, and nowadays prior to the training also player freshness monitoring via Omegawave. Currently, our players are supposed to have filled out the subjective data via our own application at least 2 hours prior to the start of training. We correlate this feedback to the training intensity of the day before. We give German school grades from 1 to 6, 1 feeling extremely fresh and 6 indicating heavy perceived fatigue. Basically, it is a warning signal for us if a player ranks himself as a 5 or 6. Initially, our physiotherapist will then try to figure out the issue by talking to that player and treating what might be wrong with them. However, the athletic trainers and the head coach all have access to the same information, meaning that they too are involved in the communication with the athlete. Altogether, we then try to find out what is best for the athlete, whether this is an additional treatment—which might not have an influence on the overall training load together with the team—or whether we cut parts of the training sessions. In extreme cases, and after discussions between the physiotherapist, athletic trainers, and head coach, we might even take the player completely out of the training. It is then crucial to communicate that this decision is not a form of punishment, but that instead we are continuously seeking to help the player improve without burning them out. Dominik Suslik (left) consulting with Hanover 96 Youth Academy Manager Steven Cherundolo (right). OW: Do you always seek to communicate everything with both the players and the head coach? DS: Basically, yes. We also try to have the same value basis, which is communicated in advance. Especially when it comes to subjective feedback, players tend to manipulate the data by over-scoring their current readiness. For that reason, we find it crucial to add objective data to our readiness assessment. However, we also trust that our players show a healthy responsibility for themselves and they can rely on our concepts of making them better players in the long run. In the end, this is also the core principle in the philosophy of our academy. It’s not just about getting them fit for the next game and trying to do everything to get them ready to play, but rather we care about their sustainable development, which might take months or years. Therefore, it is valuable to collect subjective feedback data, but acquiring objective information on top that is vital as well. OW: How does the head coach work with your recommendations? DS: He acknowledges our recommendations very regularly. In principle, in the team we are all on par between the head coach, physiotherapists and athletic trainers, especially with regards to subjects that are related to the players’ health and the daily training management. Our head coach of course makes the final decisions—however, the healthy development of all players is key for him. If we provide the recommendation to take a player out earlier because of the respective subjective and objective readiness data, then the coach will act accordingly. As I said, the health of our players is the top priority. OW: What is your vision being an athletic trainer? Do you maybe foresee a perfect monitoring system for the future? DS: I try to work holistically, which means that I try to see the human being as a whole. Opposed to that, high-performance sport is very success oriented. Once you play in the first squad of a 1st, 2nd, or even 3rd Bundesliga team, success is the primary focus. The club (which is a business), relies heavily on the success of the team. In this regard, athletic training in Germany is also currently perceived as very performance-oriented. However, just like in any other business enterprises, I see the biggest potential is in having healthy employees that are always available. That does not mean that they must always be on top of their game, but that they are at least capable of displaying their current potential while being as fresh as possible. Therefore, I consider the collection and analysis of subjective and objective readiness data as crucial for comprehensive recovery management. Having this knowledge really allows us to make better decisions to manage upcoming loads. Otherwise, it would just be guess-work. Ultimately, we try combine all collected player data to develop healthier and better athletes. If you look at the injury statistics in Germany, you quickly see that soccer is the sport with the highest risk of injury. Surely that’s mostly because it is the number one sport in the country, and it seems that this statistic applies to soccer being played at the highest competitive level down to the semi-professional and mass-sport level. Regardless, a long-term injury on the elite-level causes immense downtime costs for the club. The reason for this is often a misjudgment with regard to the readiness of certain players. Systems such as Omegawave can help to improve the decision-making process in this regard. Ultimately, fitness does not equal readiness—therefore, I think the usage of hardware and software has a vast potential to make high-performance sport more efficient and healthier.